Nine Bells, a photo by James Neeley on Flickr. 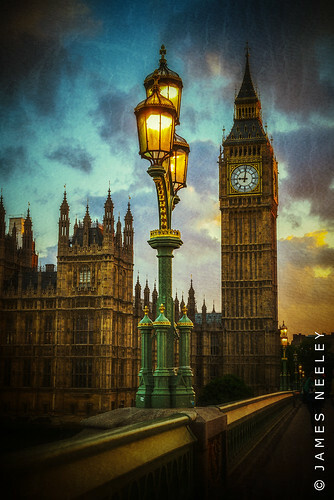 The Westminster Bridge is always a favorite and frequent stop of mine while visiting London so it is always a bit of a challenge to take something new. This is a textured version of Big Ben.